An antimicrobial additive has properties that can inhibit, resist and prevent the growth of microbes including mould and bacteria. It is a specific solution infused, which is infused into a product during the manufacturing process. This prevents the growth of microorganisms throughout the life of the product. They can be used in medical devices, appliances and other consumer contact applications. The Antimicrobial Additives market, in terms of revenue, was valued at US$ 8.88 Bn in 2016 and is expected to reach US$ 12.85 Bn by 2022. Global Antimicrobial Additives market based on the product type is classified as organic antimicrobial additives and inorganic antimicrobial additive. Currently in this segment, inorganic antimicrobial additives have the largest share in the market. This is due to the fact that plastics, and paints and coatings industries are the highest consumers of antimicrobial products. 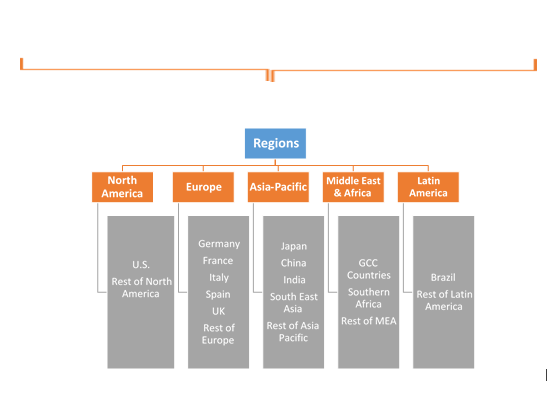 Based on the region, the worldwide market for antimicrobial additives is divided into North America, Asia Pacific, Europe, Latin America and Middle East and Africa. Currently, North America is leading the market owing to the high demand of consumer products. In 2013, out of the total sale, North America contributed to 39% of antimicrobial coatings and this number is expected to rise in the future. The report provides both, qualitative and quantitative research of the market, as well as it helps to gain important insights of current and future market and trending technologies adopted by the key players. 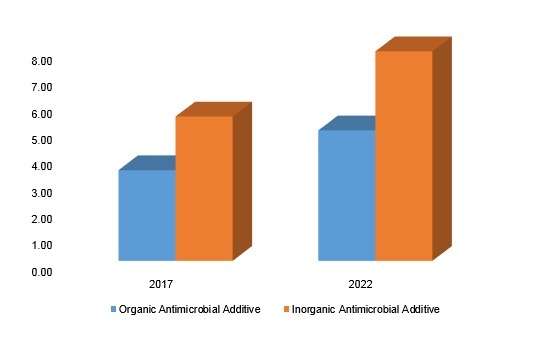 The antimicrobial additives market report also offers extensive research on the key players in this market and detailed insights on the competitiveness of these players. The key business strategies such as mergers and acquisitions(M&A), affiliations, collaborations, and contracts adopted by the major players are also recognized and analyzed in the report. For each company, the report recognizes their manufacturing base, competitors, product type, application and specification, pricing, and gross margin. 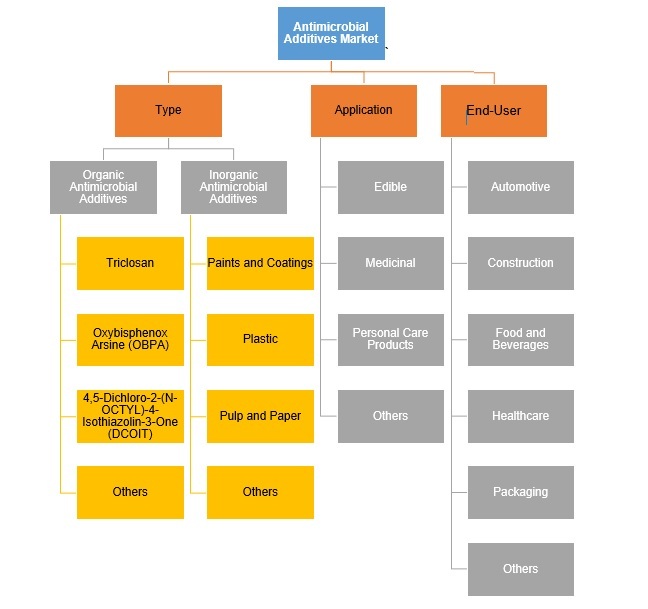 Some of the key participants of global antimicrobial additives market are Akzo Nobel N.V., BASF SE, Bayer AG, Clariant Chemicals India Ltd., The Dow Chemical Company, A. Schulman Inc., BioCote Ltd., King Plastic Corporation, Microban International, Nanobiomatters, Sanitized AG and SteriTouch Ltd. amongst others.